What’s the worst part about a bubbler? It’s gotta be trying to clean the dang thing, right? Not with these bad boys. 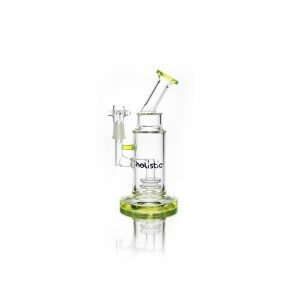 The single showerhead downstem has a removable 22mm glass on glass joint, making the bubbler easy to disassemble, clean, and add fresh water as easy as removing a downstem. 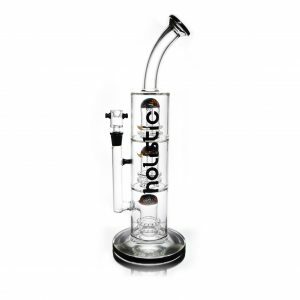 Now you can get all the advantages of a 3 foot tube in the convenience of a 10inch bubbler! Holistic Bubbler With Removable Showerhead Perc & Downstem, Black. What’s the worst part about a bubbler? It’s gotta be trying to clean the dang thing, right? Not with these bad boys. 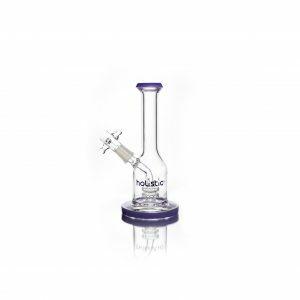 The single showerhead downstem has a removable 22mm glass on glass joint, making the bubbler easy to disassemble, clean, and add fresh water as easy as removing a downstem. 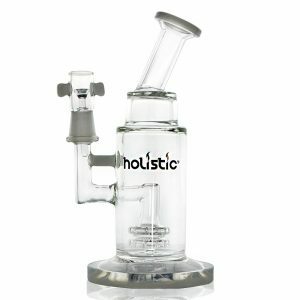 Now you can get all the advantages of a 3 foot tube in the convenience of a 10inch bubbler! 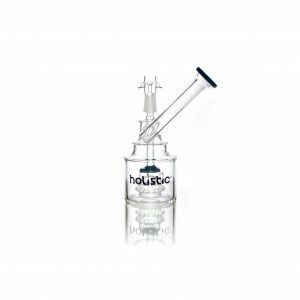 Continuing the tradition of performance, form, and function you’ve come to expect out of us at Holistic this bubbler is everything you need in a water pipe. 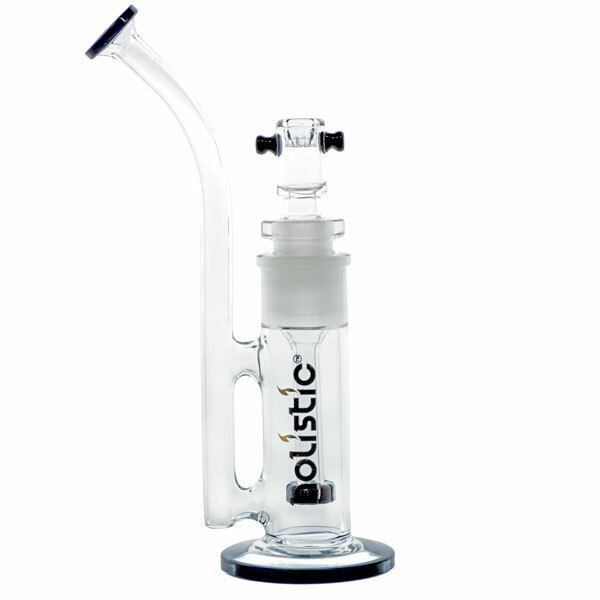 It stands at 10 inches tall from base to the top and comes with a removable Showerhead Perc Downstem. The showerhead will of course clean your smoke as only a showerhead perc can, making it draw nice and smooth. Then when it comes time to clean it all you have to do is pull the showerhead out like removing a downstem from a water pipe. Also available in Slyme Green and Wisteria Purple. Holistic Fixed Double Showerhead Perc. Bent Mouthpiece. White. Holistic Fixed Double Showerhead Perc. Bent Mouthpiece. Black.